The Taz Show Recap - Smackdown Analysis, Owens' Strong First Impression, Nakamura Speaks, More! The Taz Show Recap – Smackdown Analysis, Owens’ Strong First Impression, Nakamura Speaks, More! Taz enjoyed last night’s episode of Smackdown Live. He liked that Kevin Owens opened the show with an old-school heel promo, and he points out that there’s no confusion as to whether Owens is a heel or a babyface which is refreshing. He also thought Owens had a perfect reaction when Sami Zayn’s music hit. From Daniel Bryan’s promo, Taz understood that Owens isn’t officially a member of Smackdown Live’s roster yet. The winner of the Kevin Owens/Chris Jericho United States Title match at Payback will be the newest member of Smackdown Live according to Bryan, so in Taz’s opinion, Owens isn’t a lock for Smackdown yet. However, Taz does predict that Owens will defeat Jericho at Payback, clinching his roster spot on Smackdown. 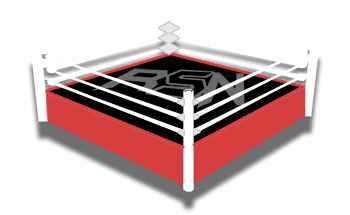 A listener calls into the show and says that he believes RAW has the stronger women’s division right now. Taz disagrees with that entirely and says that with the addition of Charlotte to Smackdown Live as well as the returning Tamina, he thinks that division is stronger overall. Taz initially thought that Dolph Ziggler should have moved to RAW, but since that didn’t happen, he was happy to see Ziggler in a prominent role on Smackdown Live last night. Taz is looking forward to the upcoming in-ring action between Ziggler and Nakamura, and he points out that Ziggler’s ability to talk will make up for Nakamura’s language barrier. Nakamura’s charisma and facial expressions are more than enough to get over with the WWE Unvierse, as we saw on last night’s show. His movements are very entertaining, and his ability in the ring speaks for itself. Taz says that Dolph Ziggler is the perfect talent to help Nakamura break into the WWE Universe.